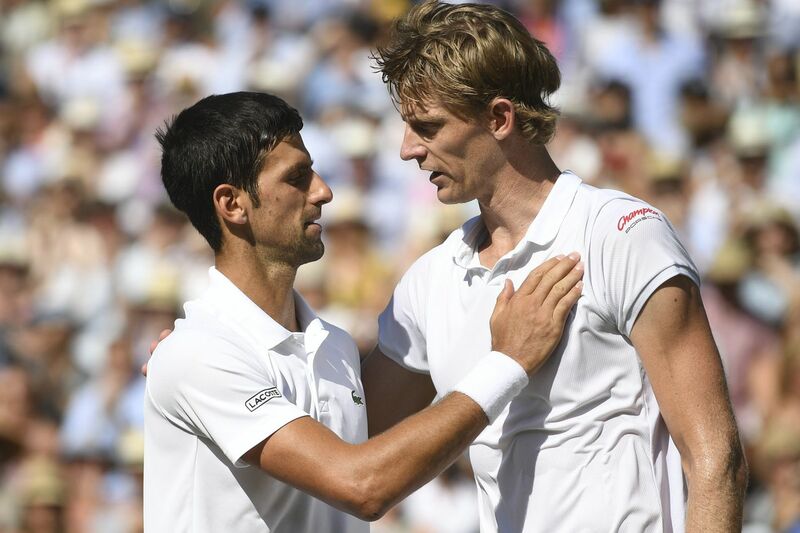 Kevin Anderson (right) will miss the Freedoms' WTT competition later this week after falling to Novak Djokovic in the Wimbledon final on Sunday. Kevin Anderson, the No. 5-ranked tennis player in the world, will not play for the Freedoms this weekend. Anderson, who was scheduled to play in the home openers on Thursday (vs. the Orange County Breakers) and Friday (vs. the Washington Kastles) is out because of fatigue. Anderson will attend but won't play in the Freedoms match against the World TeamTennis Champion Orange County Breakers on July 25 at 7 p.m. The Freedoms will give Friday's ticket holders complimentary tickets for the July 25 match to see Anderson. Attendants can pick up the free tickets at the box office during the July 20 match. Anderson lost in last week's Wimbledon final against world No. 10 Novak Djokovic. Anderson played in the longest semifinal in Wimbledon history against John Isner (6 hours, 36 minutes).